What's in a... Acceptance Letter? If you listen to all the print critics out there, they say print is disappearing. But is it? Or is it just not being utilized properly? If there is anybody out there who has figured out how to merge print and social media, it’s colleges. Print can easily make it on to social media accounts, as shown by college acceptance letters. I’m sure many of you can reflect on your experience of applying for colleges and waiting to hear back if you were accepted or not. Having gone through the applying/acceptance stage of my life just a little over five years ago, I can tell you… taking a picture with a printed acceptance letter is way cooler than taking a picture with an online acceptance email. The first thing I got when I was accepted into college was an email, so I took a screenshot of it and posted it. Was I in the picture? Nope. Did I try to express my excitement through my caption? Yep. Did it work? Probably not. I saw people posting cute pictures with their acceptance package and I was like, why didn’t I get to do that? I was very excited to be accepted into the only college I applied for… but why didn’t I get a cute picture to post on social media? So, emails and other online methods are handy and quick, but not always the best option for all situations. 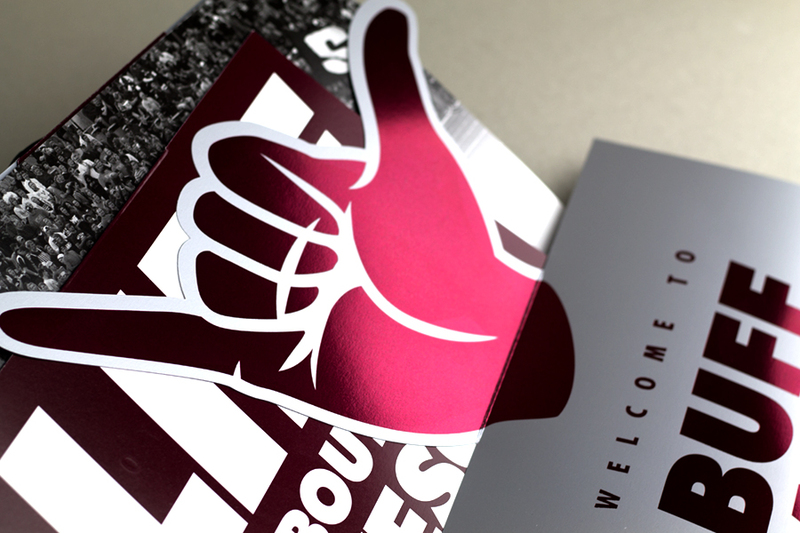 Luckily, colleges we have worked with have seen the benefits of having a well-designed and printed acceptance letter, proving that print is still a viable resource from promoting brands. A simple hashtag search can bring up so many pictures of your print material… and sometimes they don’t even post their face, but instead just have a picture of the printed material. Now let’s look at some facts. It is actually fun to get a letter in the mailbox, because that’s the rarity now. Emails and online are the norm and therefore, not as fun. A letter doesn’t just have to be a letter. It can have folds, cut-outs, pop-ups, and specific colors, along with it being able to be printed on any type of substrate (paper or not) that you want. The cooler the letter, the higher the chances of it getting posted on social media. The more it gets posted, the more people see your brand. If people post your printed product on social media, it furthers your brand name through what is basically free advertising. It’s the new way to get your audience to promote your brand, while also providing you an opportunity to interact with them before they are even on location. SG Tips: Using a specific hashtag encourages people to use that hashtag in their picture caption, which, in turn, allows you to find their photos and engage (like, comment, share) with their picture. That engagement will only serve to encourage others to post their experience with your printed material. This is part of a scholarship applicant award packet for the Trustee’s Scholarship at the University of Wyoming. Together with UWyo, we created this concept which has a pull-tab to reveal the applicant’s acceptance. When the pull-tab is released, the material folds down to be completely flat. While colleges are the ones who tend to use this tactic the most, it isn’t something that is limited to higher education. Everything can be translated into another form or market. College started the inspiration of getting print products on social media. Now it’s our turn to help you figure out how to make the inspiration work for you. 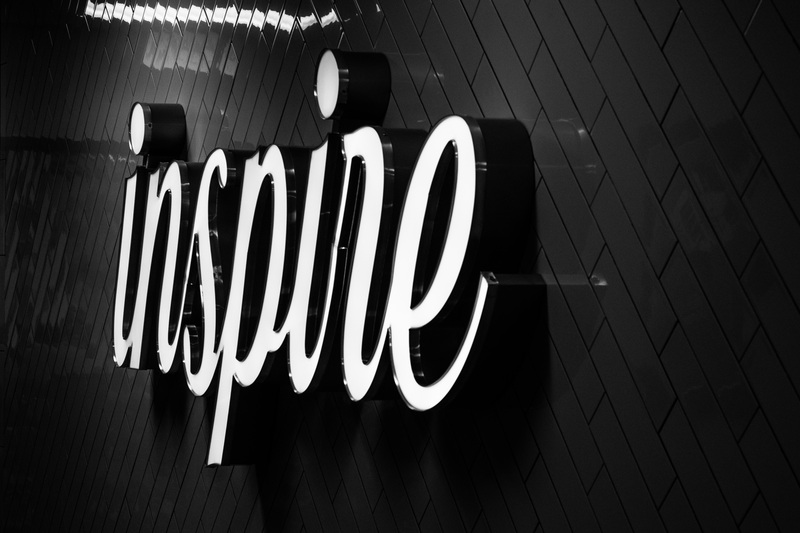 Luckily, inspiration is written on our walls here at Slate Group. Literally.